KCT Business school organises its flagship event ANGADI in association with Yugam between 7th and 9th February 2019 at KCT. 15,000 youth participants from PAN India are expected to participate in this events. 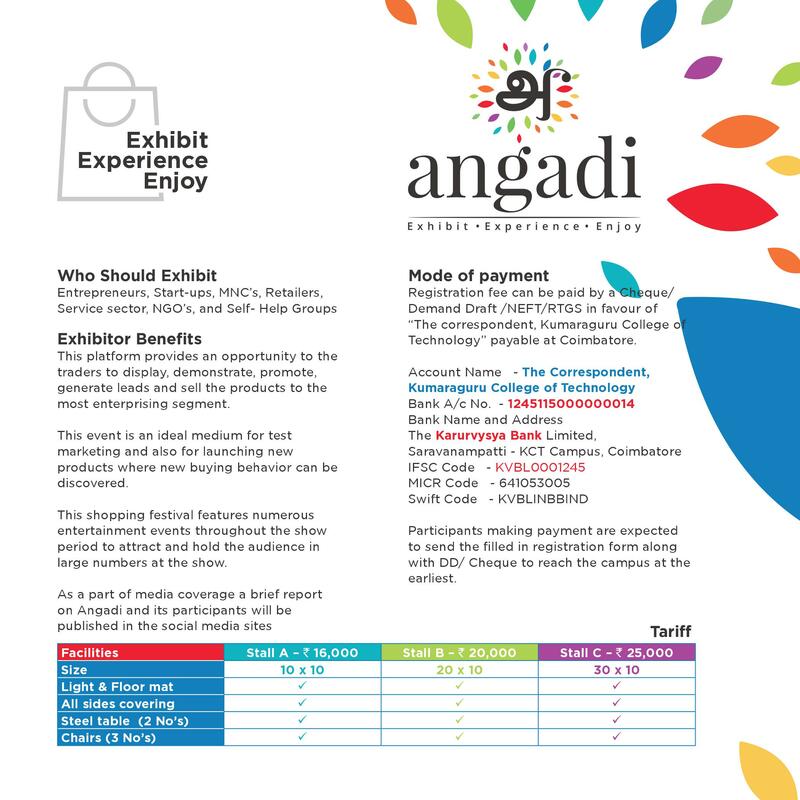 Organisers of ANGADI invites the traders, retailers, entrepreneurs, NGO’s….. to use this platform for promoting their products and services through sponsorship and stall booking.